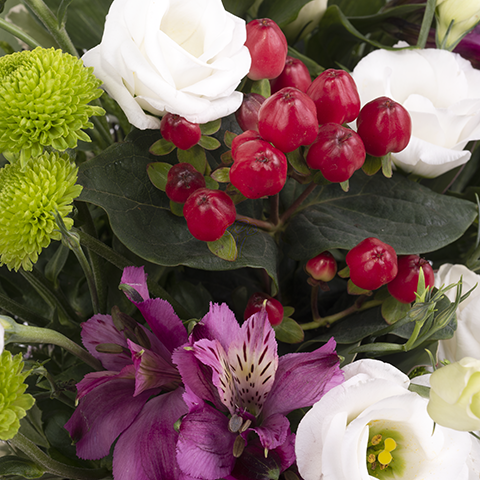 Our bouquet of white lisianthus, purple alstroemerias, green chrysanthemums and hypericum reminds us of the variety of crops that the harvest brings us each fall. 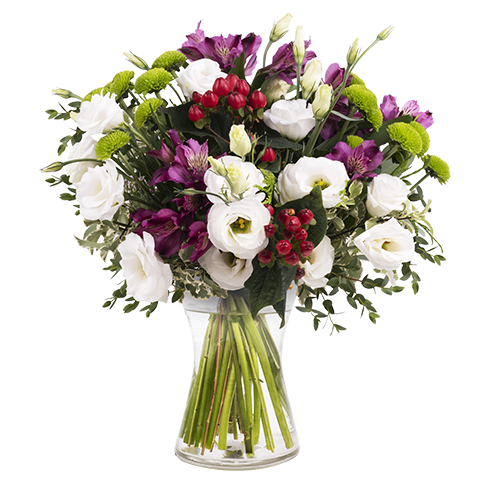 Make any day more bountiful and congratulate anyone enjoying a special day with a spectacular bouquet of fresh flowers - a perfect bouquet for the season! 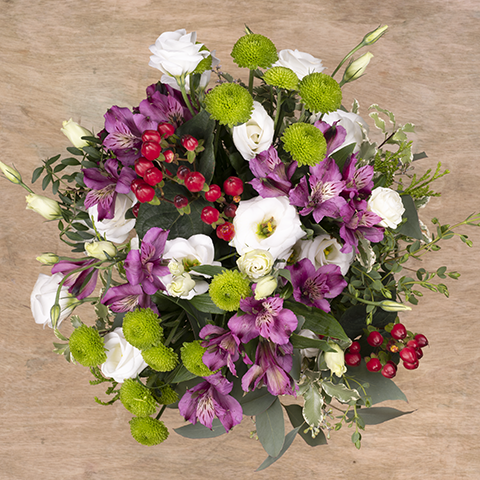 Great Service, and awesome fresh flowers. Used these people many times always reliable.